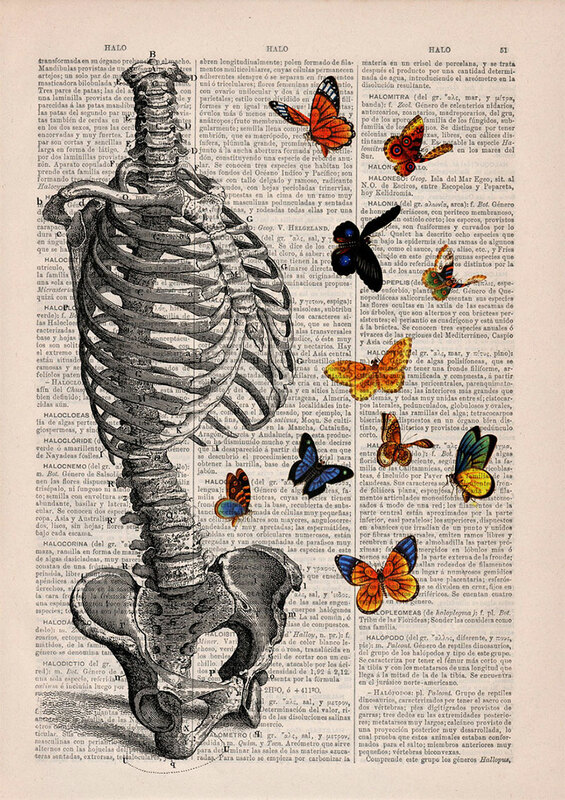 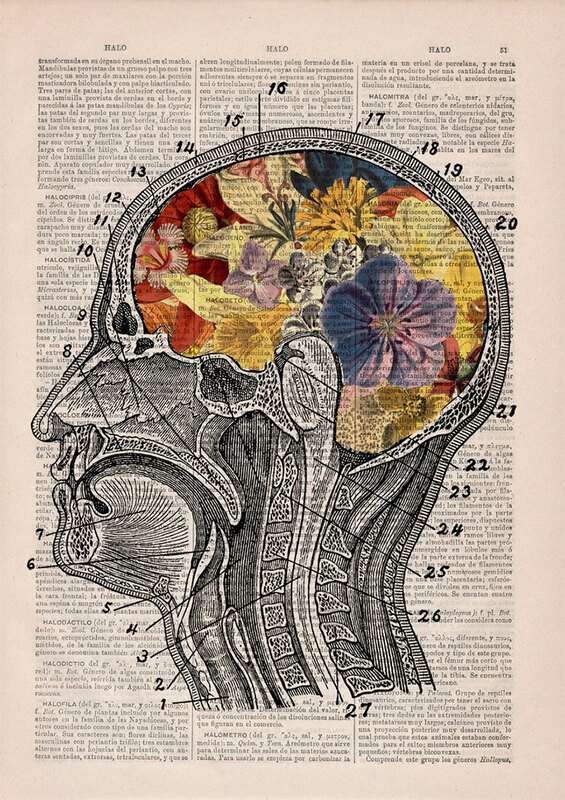 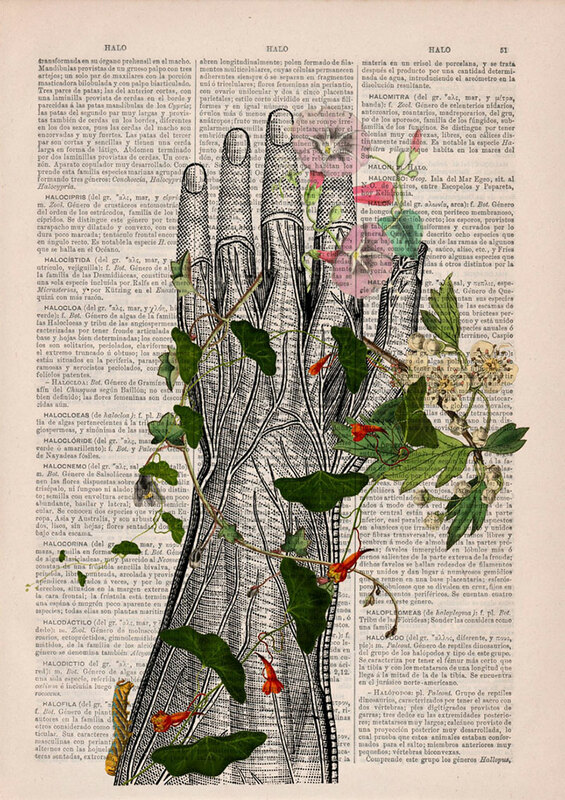 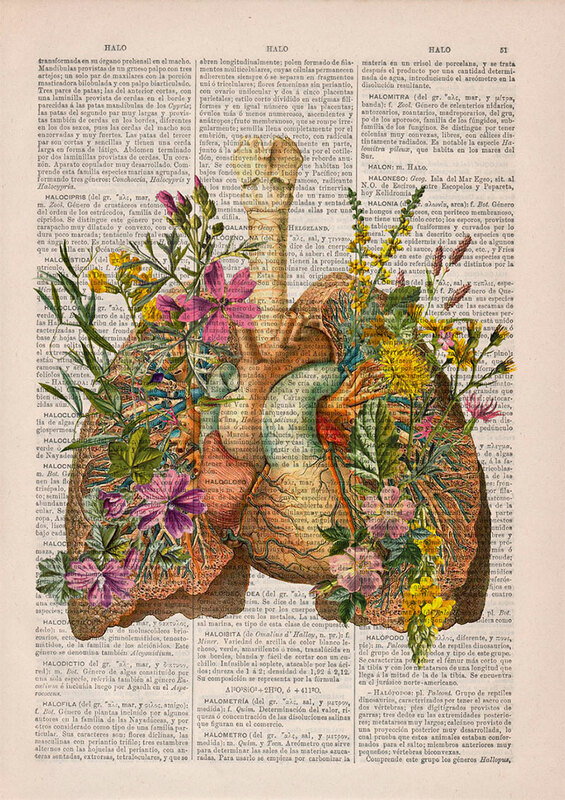 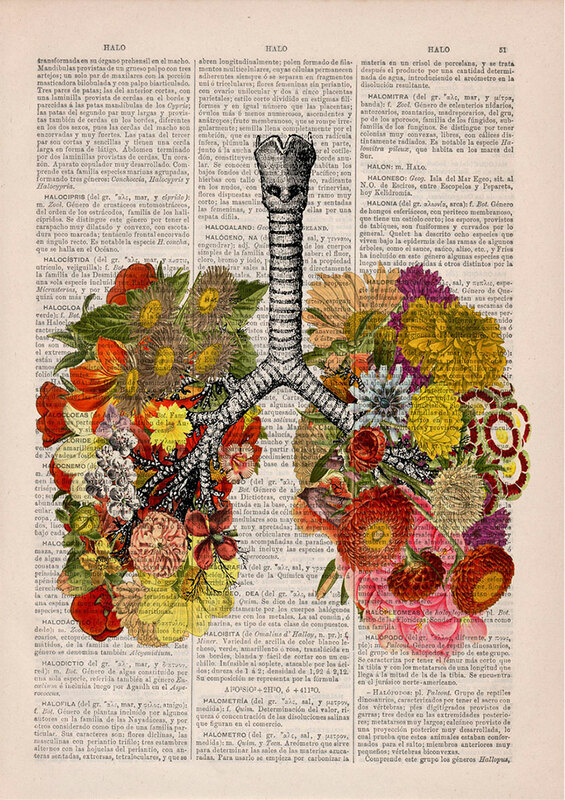 Floral anatomical illustrations on vintage dictionary pages by PRRINT based in Palma de Mallorca, Spain. 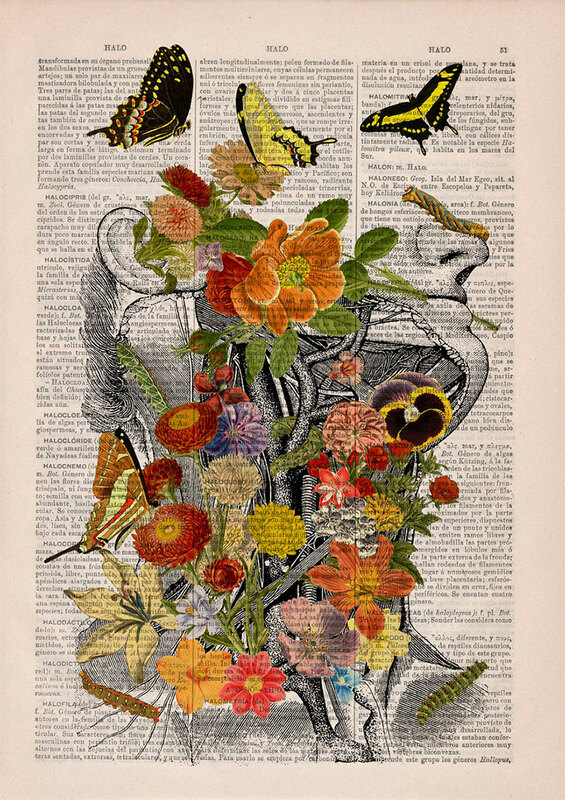 The repurposed sheets with their imperfections are given second life by adding diagrams of the human body with colorful flowers growing out of them making the antique pages unique pieces of wall art. 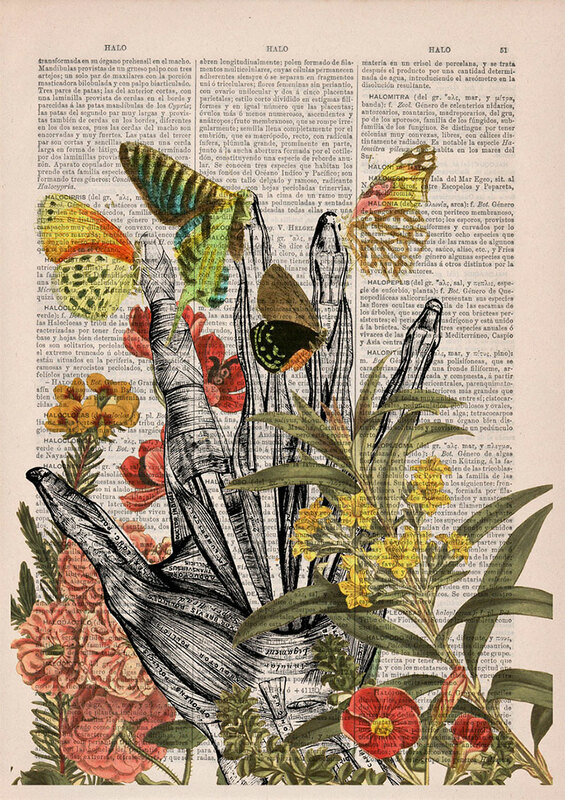 Aside from anatomy, they also feature other themes from animal art, botanicals and insects, Alice in Wonderland, travel/home/victorian, and sea life. 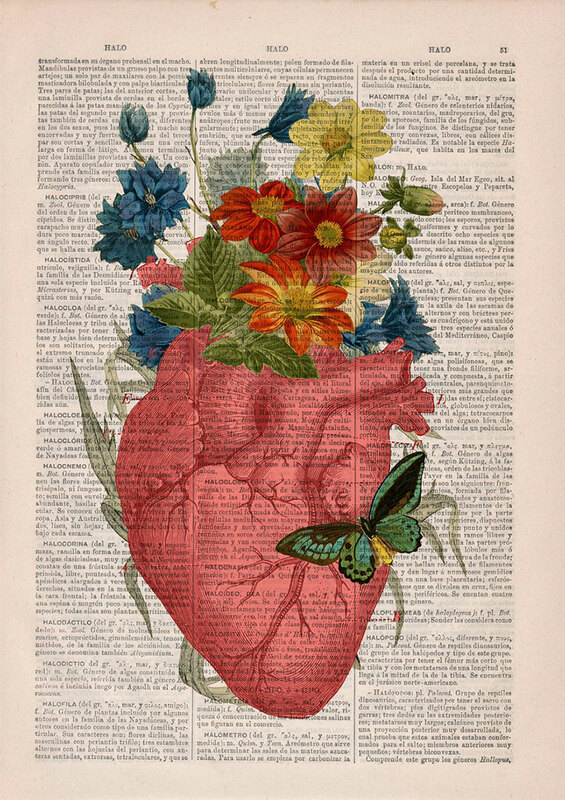 You can purchase these art prints at their Etsy page or their website. 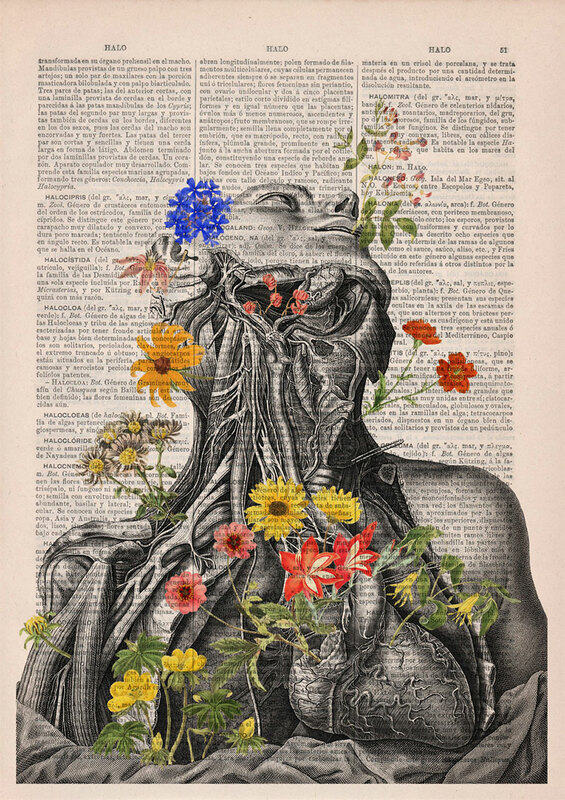 Floral anatomical illustrations on vintage dictionary pages by PRRINT based in Palma de Mallorca, Spain.